i believe the phrase is “OM NOM NOM SOSSIDGE!! 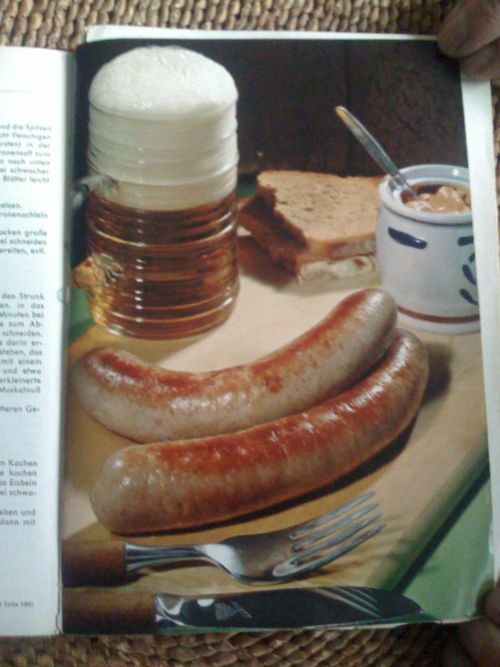 !” i did a very nice bratwurst and sauerkraut dish the other night based on this: http://www.food.com/recipe/bratwurst-casserole-meal-in-one-89405, there are very good brats available from borough market I’ve found. Those are great. Tell Cluedo to get himself on twitter (I don’t do tumblr).